Your favorite childhood snack...all that's missing is the prize inside! 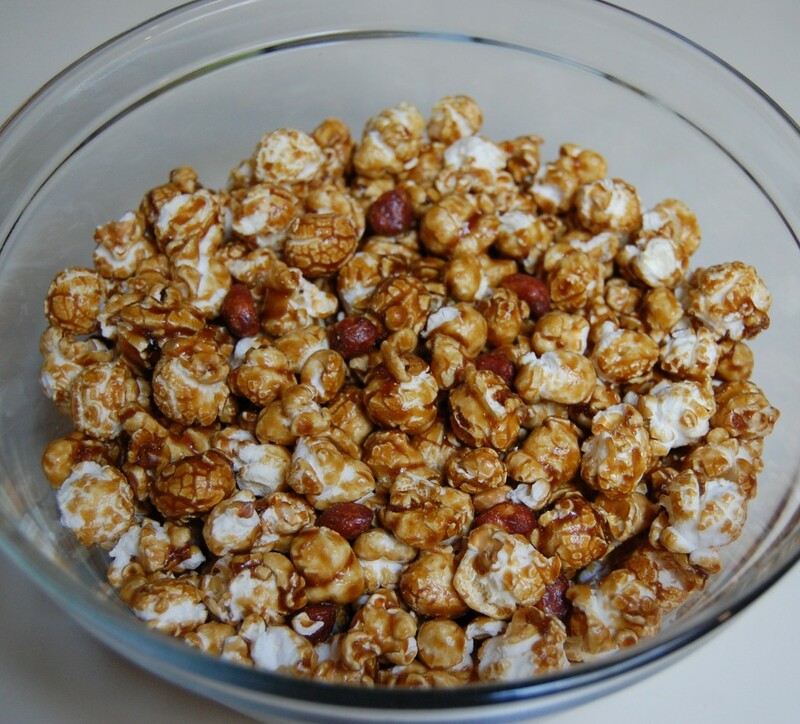 Combine sugar, molasses and water in a saucepan and bring to a soft ball stage (235°). Take off heat and add soda. 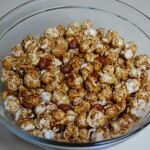 Mix popped corn with peanuts and pour sugar mixture over all. Stir to coat evenly.